WELCOME TO MARIVATION! 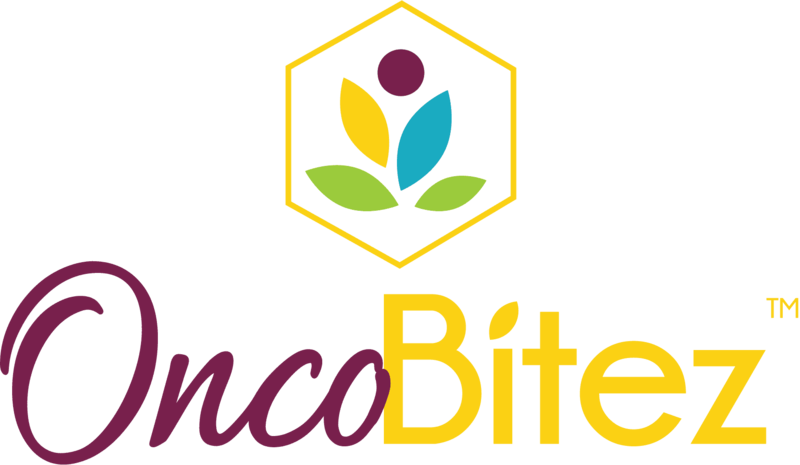 The excitement and anticipation are simply overwhelming, as we are only days away from launching our first product, OncoBitez (pronounced onco-bites). 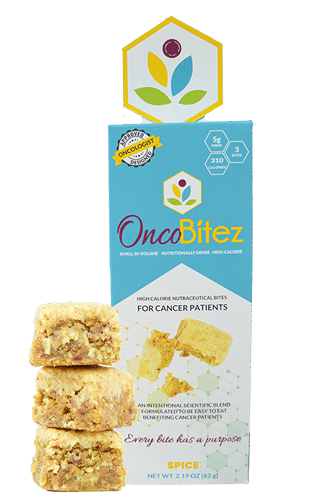 A nutraceutical solution for cancer patients, OncoBitez is high-quality nutrition and guaranteed calories in an intentional scientific blend formulated to be EASY TO EAT, while also being VERY ENJOYABLE! 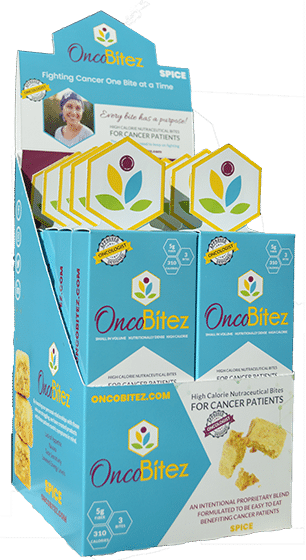 Taking OncoBitez’s scientific model of high-quality ingredients and superfoods to the next level is a proprietary blend of herbs and spices designed specifically to combat the negative side effects of cancer treatments as seen from chemotherapy, oral medications, and radiation. Where did it all start? 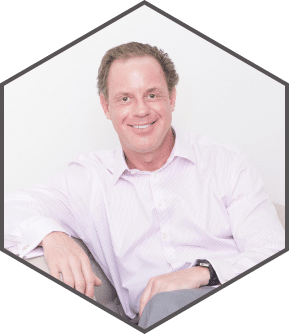 Marivation’s Founder, CEO, and COO, Butch Hunter, was blessed with a beautiful family, a supportive network of friends, inspiring colleagues and a relevant career in the world of oncology. As you can imagine, when you work in the field of cancer you compassionately unite with caregivers in hopes of relieving suffering on the pathway to a cure. It is through his travels, personal experience hearing stories of patients, and ultimately watching his daughter suffer from symptoms similar to those of cancer patients that led Butch to the creation of Marivation and the first, he hopes of many products, OncoBitez. Even though I spent many years witnessing the suffering of cancer patients as a pharmaceutical sales representative and business development executive, it wasn’t until my daughter became chronically ill with a severe and very debilitating stomach illness (gastroparesis) that I was motivated to take action. Being a father with some knowledge of the medical field, I began researching gastroparesis and available treatment options. I started thinking of ways to create a uniquely based product or products that would not only help my daughter with the pain, nausea, and vomiting but with loss of appetite and weight. These are the same symptoms which also plague chemotherapy patients and many other people receiving debilitating therapies. I began to research patient nutritional needs, fruits, vegetables, and spices that provide proven health benefits. What I came to find was that there were many robust nutritional options, but nothing like what I wanted to create. Armed with new knowledge and an “idea”, I began to speak with more and more people undergoing chemotherapy through my work and travel, debated friends who are physicians and healthcare providers, and after many hours of researching the potential and synergistic benefits of high-quality ingredients, and the benefits of key spices – I believed I could create a product that would not only aid in managing patient symptoms but also provide the patient with much needed high-quality nutrients, along with the necessary vitamins and minerals to help keep them healthy during those tough times. Gastroparesis is a stomach disorder in which food is digested more slowly than normal and results in serious pain, nausea and vomiting that most times cannot be adequately controlled with standard medications. My daughter was very, very sick and spent much of a year in children’s hospital on a morphine drip, with a ninety-tab OPIOD prescription to accompany her home. Each time I would visit her at the hospital, she would constantly complain about the noted pain, nausea and vomiting, in addition to the noticeable loss of appetite and weight.